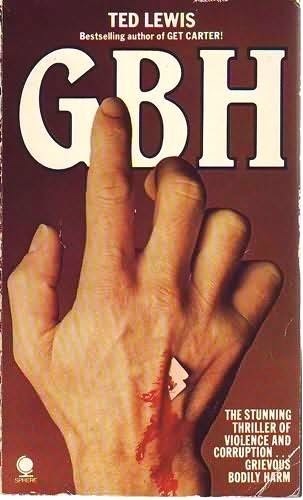 Journalist, road manager of a flying circus, cartoonist, and advertising copywriter, Lyndon Mallet is poised to bring back one of the most iconic characters in the hardboiled Brit Grit genre—Taffin. 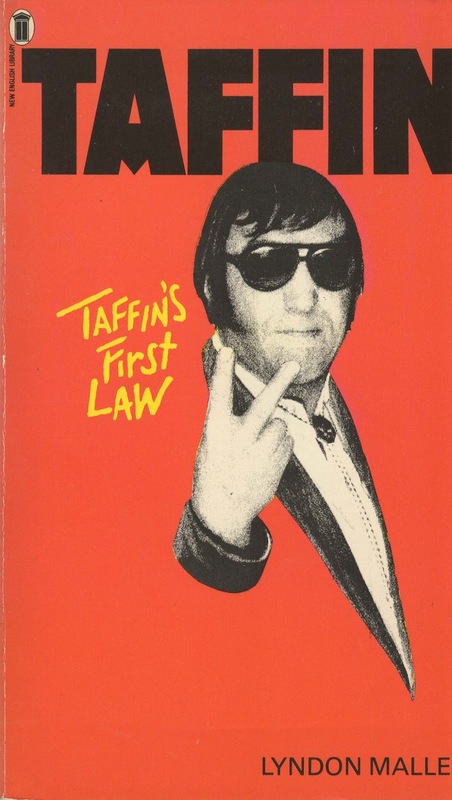 A savvy and savage tough-guy debt collector, Taffin made his debut in 1980 in two paperback original novels, Taffin and Taffin’s First Law, published back to back by British publisher New English Library (NEL). Taffin is a tough-guy debt collector who when not working or teaching young tearaways the fine art of intimidation, is happy to spend his time reading books on philosophy and theory. He is a big fish in the very little pond known as Lasherham. He goes about his business in a quiet, polite manner. Nobody, however, wants a second visit from Taffin because it usually involves excruciating pain. Mark Taffin is decidedly overweight and unattractive, he’s a thug and a loner who prefers psychological manipulation to dealing out broken bones—unless necessary. He is the definition of menace. When asked what got him started as a writer, Mallet states, it was a venerable Olympia typewriter on a table beside my father’s easel. It was black and upright and I was allowed to thump on the keys so long as there was paper in it. My father used it for typing the captions which he pasted on to his cartoons. Macs, Photoshop and Indesign were improbable sci-fi back then. Speaking about his Taffin novels, Lyndon gives this rundown: Taffin is about a small town debt collector who becomes indispensable when his community is threatened by a ruthless developer. 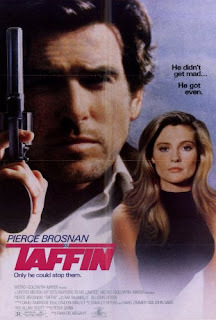 Taffin himself—a looming, expressionless, monosyllabic character—is a mixture of two people I know, or have known, in real life. I don’t believe anyone invents a character from nothing. Taffin is the product of some personal experience of mine. The sequel, Taffin’s First Law, was commissioned and written within four months of the first book appearing. 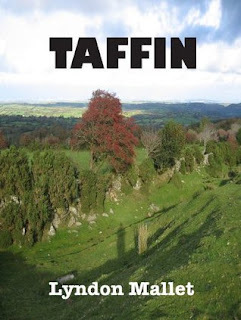 Carola Edmonds, my Editor at New English Library, felt we should address some questions left unanswered in the first Taffin story as fast as possible—and anyway, I was on a roll. The idea of a wealthy American trying to buy a deconsecrated English village church had a certain appeal. There is plenty of precedent—London Bridge was sold and reassembled at Lake Havasu City, Arizona. And it seemed to me if a clandestine syndicate tried to sell the church in Taffin’s home village, the locals would have something to say about it. In Ask Taffin Nicely, time has passed and Taffin has grown up. If he ever thought of himself as a hero, he doesn’t now. But the locals still find in his enigmatic nature something they need when they suspect their village is harboring a child murderer. For the first time we see Taffin working in parallel—but not in harmony—with the police. There is a prime suspect, but Taffin has his doubts. Not content to go along with the popular view he applies his mind to an alternative theory. What he finds nearly costs him his life. Later this year, after a twenty-five year hiatus, Taffin will be flexing his muscles again in Taffin On Balance. This time his mandate is to protect the village where he lives when it is threatened by the planned incursion of a high speed rail route known as StarTrack. In anticipation of this new Taffin chapter, Lyndon Mallet has agreed to go under the bright lights of the interrogation room—an arena where Taffin himself would feel quite comfortable. What details would be essential if Interpol issued an international fugitive warrant for Lyndon Mallet? They would be looking for a six foot, soft spoken, graying Brit, bearded or clean-shaven according to mood. More to the point, my wife and family would immediately want to know why Interpol was looking for me and I wouldn’t want to be the agent they confronted. My wife’s first question would be, ‘Have you tried the Cross Keys or the White Lion – if not, why not?’ At one time she might have suggested the nearest airfield. All that aside, Interpol would have to face the fact that I live a life of blameless domesticity in rural surroundings of matchless charm. If I have a double anywhere (other than in one of the aforementioned pubs) that’s who they’re looking for. Mistaken identity springs to mind. Roald Dahl. 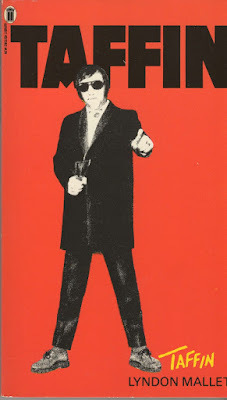 Reading him in my teens taught me to write about subjects close to home. He lived in my village and much later I had the privilege of knowing him (we shared a book signing session once in a local bookshop). His grave is on the hill half a mile from where I’m writing this. Other major influences have been Ray Bradbury, George MacDonald Fraser, Patrick O’Brien, Arthur Conan Doyle, J. P. Donleavy, and Rudyard Kipling. How much influence did your father’s creative output have on your career choices? Considerable. My father was a cartoonist with an independent spirit who never consciously tried to steer me in any particular direction. At the same time he managed to convey a sense of the discipline you need to go your own way. I learnt to draw by watching him at work. Any questions, the answer was always there. So was the typewriter. 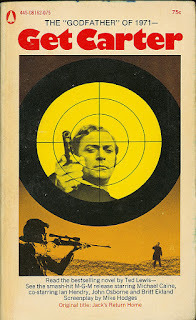 When you were writing the first Taffin novel were you aware of Ted Lewis’ tough guy novels Get Carter and GBH, which are now considered to be the start of the Brit Grit movement in British hardboiled novels? I knew Get Carter through the movie but never read it or GBH. I’m not really aware of movements in novel writing. I grew up with a broad spectrum of writing and hardly read at all when I’m working on a book because it’s too easy to be diverted by a strong style. I read or I write, but don’t combine the two. How did you develop the character of Taffin, and did he have any real life counterparts? Early contact with the motor trade put me in touch with the debt collecting business on both sides of the fence. The Taffin idea was sparked off by a friend’s account of ‘being present’ when his employer was having trouble with a supplier. Taffin’s look was based on a burly guy who drove an elderly Cadillac and did a passable Elvis at local gigs. How did you come to write Taffin’s First Law so quickly after Taffin was published? That’s a simple one. My editor wanted more and I put the concept of a good night’s sleep on hold. Did your dissatisfaction with the casting of Pierce Brosnan in the film version of Taffin contribute in some way to the hiatus between Ask Taffin Nicely and the soon to be published Taffin On Balance? No. Pierce Brosnan made the character his own as far as the screen was concerned and I was fine with that. 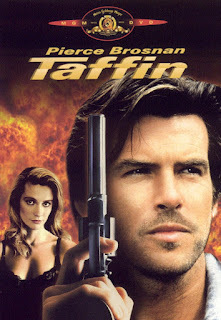 I once remarked Pierce Brosnan didn’t fit my original idea of Taffin. Later I was surprised to hear it had become an issue. In fact, if this latest book ever came to the screen, Pierce Brosnan would do a fine job. 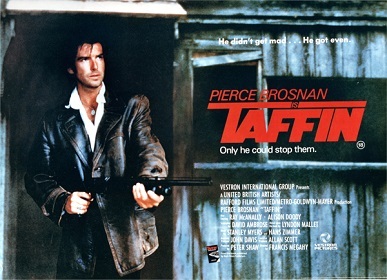 The producers set the Taffin movie in Ireland for various reasons. The original books are set in rural England. Taffin and most of the characters associated with him (myself included) are English. 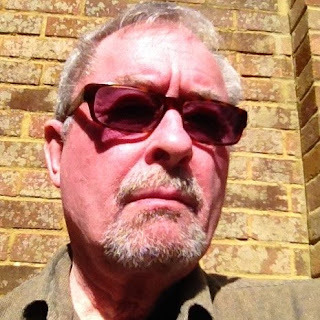 What brought you back to the character of Taffin for a new novel? I had an advertising career that made demands on my time. Life moved on. I had made a switch to scripting for TV and began writing other novels. I thought Ask Taffin Nicely had completed the Taffin trilogy nicely, but somehow the character stayed with me. I guess I always suspected there was more to come. There was a story I wanted to tell and there was only one character to put at the center of it. 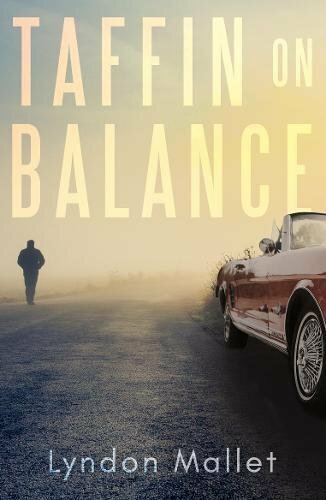 What can we expect from Taffin on Balance? When the new high speed rail route StarTrack threatens a village, Taffin is forced to act in the face of corruption. Set against a background of the classic car trade, in which barn finds are always newsworthy, Taffin on Balance deals with manipulation, at Cabinet level, of a high-speed rail route, and resistance to it at village level. Taffin is now running Muscle Motors with his long-time girlfriend Charlotte, restoring and selling classic American cars. The high-speed rail route StarTrack is threatening the village boundaries and some of the locals approach Taffin for ways of resisting it. He tells them there is nothing he can do, but events draw him in anyway. It seems Taffin’s past is close behind. Someone is trying to put Muscle Motors out of business and it soon becomes clear the threat is well financed, the motive personal and the intention deadly. Taffin is forced to revert to his old skills as he faces corruption that reaches from his home territory into the heart of government. Are there more Taffin tales waiting to be told?